By the time Suzanne Horton had her second child she was tired of her job. “Both Gary, my husband, and I were working as solicitors in Manchester,” she says. 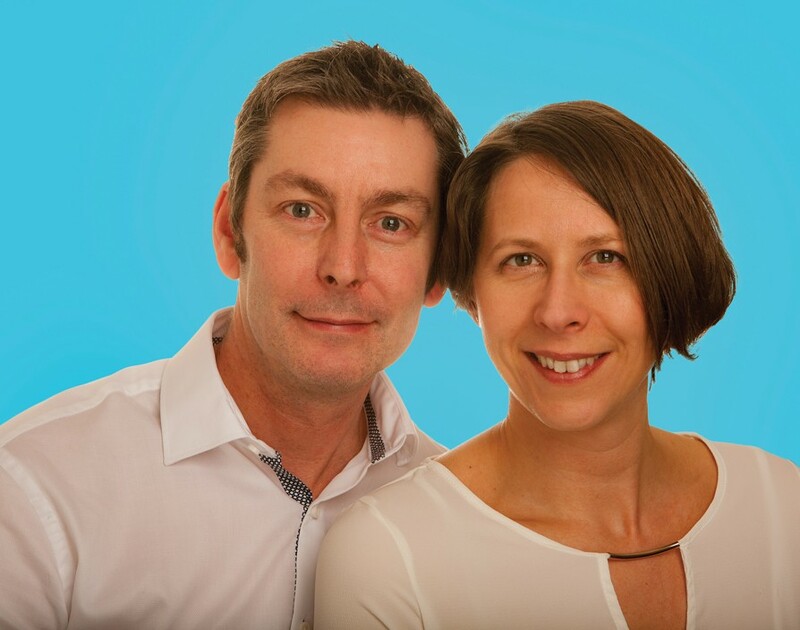 “The long hours really didn’t give us the work-life balance we wanted with a young family.” Desiring more out of life, the pair decided to start a business that could support them financially and give them more time with their kids. “And we felt that franchising would give us that independence and flexibility,” says Horton. “Plus it would also mean being backed by a network that had already proven successful.” And they soon found the perfect franchise for their needs: Puddle Ducks, the prenatal and child-swimming lessons franchise. However, recognising that they were putting their future on the line, the couple refrained from signing on the dotted line before testing the water. “We both like to do our research,” Horton says. So before testing the plunge the budding franchisee talked to Puddle Ducks’ co-founders Jo Stone and Tracy Townend as well as two other franchisees. And she was impressed by what she saw. “I ended up not looking at any other franchises because I just felt that this was a good network bursting with people like me who had succeeded as franchisees,” she says. Having decided to dive into her franchising adventure, Horton began her training. “The basic training was a life-saving course plus a Swimming Teachers’ Association baby and pre-school teacher course,” she says. “And on top of that I also did a five-day training course with Puddle Ducks that was specific to the network.” These instructions prepared her to run the business and familiarised Horton with the franchise manual. The training also enabled her to be more hands-on and accompany an accomplished franchisee during a few classes. Additionally, it allowed her a chance to get to know the people in the network who could help her. “So we had both the tools and the support of the network to help us get started,” she says. Nevertheless, three years after diving into the wonderful world of franchising, Horton realised that her efforts hadn’t been enough. “The business wasn’t growing because of a shortage in pool times,” says Horton. While there were plenty of interested customers, pool owners didn’t rent out enough times to suit the schedules of the franchise’s clientele. Fortunately, the Hortons soon found a solution to their problem. “If we had our own pool we could have more classes and make it absolutely perfect for our target audience,” she says. However, establishing a pool of their own would force them to go all in like never before. “We had to sell our house to get enough equity to get funders onboard and kickstart the project,” Horton says. “It was a difficult decision because we’d bought it to bring up our children in and thought it would be our home forever.” At the same time they both felt that not doing it would be something they’d regret. “If we were going to do it, we were going to do it properly,” Horton says. So, in 2014, her husband left his job and the pair set out to find the best place to build the pool. But finding the right property would prove to be more difficult than expected. “It took a while to find the right one,” says Horton. “We saw quite a lot of properties but they all fell through for one reason or another.” It wasn’t until they were offered the chance to buy an old pub that their luck changed. While initially hesitant about the building, they quickly reconsidered when they saw the establishment. Not only would a pool and even a small cafe easily fit inside the premises but its proximity to the motorway and the huge parking lot outside meant parents could effortlessly get there. Even better, given that the Hortons had sold their house, there was a flat upstairs that the family could live in. “We left knowing that this was the one,” she says. In March 2015 they finalised the deal and set out to transform the pub into their dream franchise facility. Still, repurposing the old drinking establishment would require a lot of effort. “Thinking back on how hard it was, it’s difficult to imagine how we actually pulled it off,” says Horton. Firstly, they had to get all permits in order to persuade funders to back the project. Secondly, they had to keep their business afloat while construction workers refitted the old building to fit their needs. Fortunately, Puddle Ducks backed them every step of the way by sharing guidance about operating procedures as well as giving them a lot of moral support. Finally, the pool was opened in April 2016. “It was exhausting but once we got it open we were over the moon,” says Horton. Since launching the pool, the company’s growth has gone from a slow crawl to doing butterfly strokes. “It has transformed our business completely,” says Horton. In just one year both its customer base and staff have doubled. In fact, the couple has not only hired teachers and people to head up the cafe but also recruited people to manage their staff training, marketing and finances. “With this power team, we’ve really got a good business for the foreseeable future,” she says. And people have taken notice. “Quite a few other franchisees have checked out our premises,” Horton says. “We may have inspired a few of them and I’m sure other projects will soon come to fruition thanks to us sharing our experience of putting a project like this together. That’s the nice thing with being in a franchise network: we can help each other.” However, Puddle Ducks’ franchisees aren’t the only ones who paid attention to their achievement: this year the couple was given the bfa HSBC Franchisee Innovation Award. “It’s not like we wanted a pat on the shoulder but it made us stop and feel really proud of ourselves,” she says.